Ask the average person what they picture when they hear the word “innovation” and they’ll probably describe a scene in the R&D lab of a large organization, teeming with technology specialists. Or they might conjure up an image of a recent university grad developing a startup in their parent’s garage. Innovation born within the aisles of a grocery store, though? Probably a little less likely. 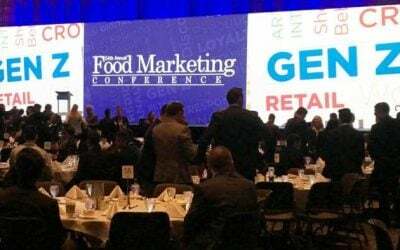 Regardless of the preconceptions, grocery retailers need to make innovation a high priority in 2019, based on what experts are saying. 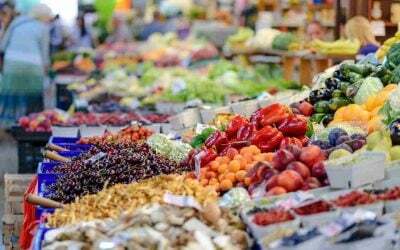 A recent report by consulting firm McKinsey, for example, said the failure to combat increasing competition and industry disruption from discount, online and non-grocery channels means grocery retailers could lose US$200 billion to US$700 billion in revenues by 2026. That is assuming they are not among the half of traditional grocers that McKinsey predicts may have disappeared by then. Instead of being rattled about whether you have the resources to innovate or the expertise to get started, let’s define what innovation means in a grocery sector context. If, for example, innovation is a way to pursue new ideas to create increased value for an organization and its customers, most grocers have a strong foundation to build upon. They know a lot about their business and customers and they can apply new ideas in ways that make sense based on business objectives. Innovation in the grocery sector, in other words, is a matter of matching the right opportunities with the right tools and techniques to achieve a measurable goal. Most major grocery retailers have key performance indicators (KPIs) to evaluate business performance. They need to orient innovation efforts to ensure they are consistently building value into every experiment or pilot project. Maybe it is the degree of complexity involved in the shopping experience, whether in-store or online. Perhaps it’s the extent to which you help consumers learn and appreciate different foods that enrich their lives through smart selection and assortment. For some, maximizing customers’ ability to get the most value for their money will be a key metric. Starting here provides baseline on how to look for the right tools to seek out innovative results. A mobile app company can push out new updates within seconds. Consumers can do everything from book flights and accommodation to looking up the weather by simply picking up their smartphones. Contrast that with your company’s ability to make changes or respond to customer needs. 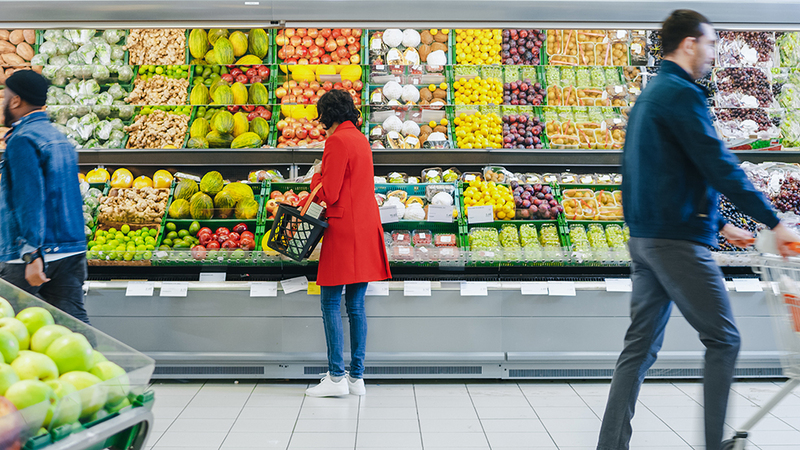 It’s easy to dismiss agility as something done only tech startups but digital processes are causing consumers to expect the same from every business, including their local grocery store. Unfortunately, you can’t boost your ability to change by a factor of 10, as McKinsey suggests, by pouring over information on your own. This is why the first generation of analytics tools are quickly giving away to more advanced artificial intelligence (A.I.) 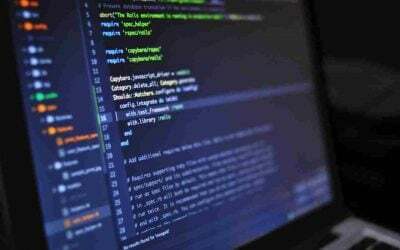 applications such as Daisy that let them collect, process and receive actionable business recommendations from the massive amounts of data available to them. If innovation is a journey, think of A.I. as the engine inside the car that will get you moving faster in the direction you want to go. As important, think about how A.I. can handle time-consuming and complex tasks beyond the capabilities of humans. There is a reason the grocery industry continually hears the phrase “the store of the future,” even though many stores look much different than 10 years ago. The future is always theoretical until it arrives. Similarly, executing a successful innovation strategy means trying things, measuring what happened and then making improvements — sometimes incremental ones — as you go. Use smart questions as you break an innovation project into sequential, manageable chunks. What are you learning about your customers and their experience as a result of the innovation that you’re introducing? How is it affecting operational efficiencies, whether on the front lines at the point of sale or in the back-office and warehouse space? If you knew initially what you know now, how would you start over? How can you use technology to essentially start over in ways that weren’t possible until now? Whether it takes place in a grocery store or anywhere else, innovation was never meant to be an end in itself. Innovation is about helping grocers solve problems that matter to customers and developing that problem-solving capability like a muscle that becomes core to their sense of purpose and how they operate. That is not something that only a mad genius in an R&D lab or a startup can do. It’s possible for any organization — and crucial for grocers this year. Contact us to learn more about how Daisy can help grocery retailers drive 100% higher profits and increase total sales by 5%.